If you are looking to switch industrial gas suppliers, you will want to be sure that your transition between suppliers does not interrupt your workflow and doesn’t end up costing you extra money. 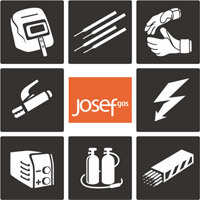 Josef Gas is a Canadian-owned, mid-sized supplier of industrial gases. It is an independent company with an independent attitude, not a distributor for one of the gas giants. Because we are a family-run business, we answer to our customers. We have the flexibility to work with new customers to give them a seamless transition without a bunch of fees and duplicate charges. What Can Josef Gas Do To Make Switching Painless? Decades Of Dependability – With more than 40 years in the business, we have built a solid record of dependability for our customers, generation after generation. We operate our own fleet of cylinder and bulk gas delivery trucks that make more than 100 deliveries daily, throughout the Greater Toronto Area and beyond. We will never leave you high and dry. Initial and Ongoing Savings – If you are renting cylinders from your current propane supplier, we can waive the first months’ rental fees, so that you do not end up paying rent on two sets of cylinders for the transition month. Going forward, you will save additional money because Josef Gas only charges for cylinder rental, product, and delivery; we do not charge our customers Hazmat, Environmental, or Barcode charges. A Planned Approach – When you are ready to make the switch, we will deliver some of our product to your shop before you notify your current industrial gas supplier that you are terminating your arrangement with them. That way, you can be confident that you will have the gas you need on hand, and don’t need to worry if your old supplier collects their cylinders immediately after you terminate their service. If you are ready to do business with a propane supplier who wants to earn your confidence, we invite you to request a free quote online, or give us a call at 416-658-1212 to speak to one of our representatives for more information or help with a quote. We will work with you to ensure that your transition is quick and painless!